You've waited months for the release of Fallout 4, the game even pre-ordered and downloaded in time for release. And now the time has come and you start Fallout 4, only to see that the game does not start, freeze or even you can play as normal, but the Post-Apocalypse remains completely silent, because the sound in the game is missing. If you encounter these issues, then we have a solution for you in the following article. It sounds trite, but insufficient hardware components often behind many software problems. Therefore, checks the minimum requirements and the recommended hardware recommendations for Fallout 4. In the minimum settings, the game requires that the PC is equipped at least with Windows 7 (64-bit version) and 8 GB of RAM, and the recommended requirements are even higher, it requires, Intel i7 4790, of 3.6 GHz, equivalent or higher processor. So if your PC hardware does not meet the above requirements then the error is most likely there. - Problem: Game will not start or it appears only a black screen - Solution: Try borderless window mode. - Problem: XAudio2_7.dll missing or not working. - Solution: Right-click on Fallout 4 in the Steam library and choose "beta - 1.1.30 Beta Update". - Problem: DLL file causes problems - Solution: Missing DLL files can be found with the freeware DLL Fixer. - Problem: Fallout 4 crashes or jerky strongly at a NVIDIA card - solution: Disables the function "NVIDIA Streamer Service". - Problem: Fallout 4 is not working (any longer) - Solution: Start the game in compatibility mode and / or as an administrator (right click on the game icon and the menu (s) Select). 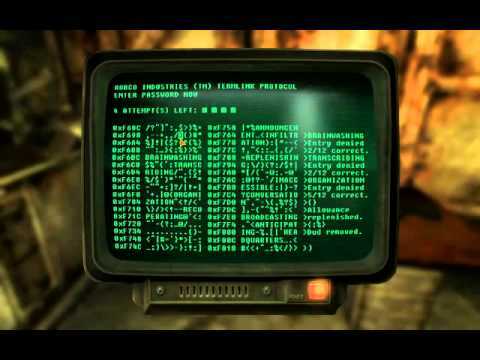 - Problem: Game Freeze - Solution: Open the game Task Manger and set the priority for "fallout4.exe" to "high". Alternatively, in the game you can also turn it off V-Sync. If the game lags for you, you can make some small adjustments to improve the frame rate but you should not expect miracles. 2. From the Task Manager ("Ctrl" + "Alt" + "Del") you can set the priority for the process "Fallout4.exe" to "high". 3. In the "Fallout4Prefs.ini" file change the value of the entry at "iPresetInterval" from "1" to "0" as well as "bForceIgnoreSmoothness" from "0" to "1". 1. Go to the Controls on the installation folder of the game. 2. Search the "Fallou4Prefs.ini" and open it with any editor. 3. Control the line "iPresentinterval" on. 4. Change the value from "1" to "0". 5. Save the file and start the game. 3. Add under [General], select "SIntroSequence = 1". 5. Add under [General], select "SIntroSequence = 1". Alternatively you can simply delete the file or move to another location if you still want to watch it again later - steamapps \ common \ Fallout 4 \ Data \ Video also "GameIntro_V3_b.bk2". Having hacked a terminal screen does not return to the game and stay forever stuck in front of the terminal. One of the bugs that users are complaining has to do with the hacking of the terminals. After hacking a terminal you try to press the button to exit the hacking screen you get stuck and nothing more happens. Now there is virtually no way to return to the game. The cause is the type of monitor you use: those who use monitor refresh rate higher than 60Hz. You need to change a value in the installation file Fallout 4. In the My Documents \ My Games \ Fallout4 Fallout4Prefs find the file, open it with a text editor and find the line "iPresentInterval". Set the number corresponding to that row 0. On some PCs, Fallout 4 not recognized the mouse or keyboard. This can usually be fixed by simply disabling the gamepad from Fallout 4 menu. Also useful the diagnostic and repair tool from Fallout 4. This is can be achieved by right-clicking on the game in Steam. Then choose "Properties", "check game files for errors" "local files" as well. Often this error can be fixed by using instead of a wireless headphone unit with a conventional plug. Alternatively, it may also help if you provide the sample rate to 16 bits and 48.000 Hz in the properties of each audio device. Anyone having the problem that I am having? I am running Windows 10 x64. When I go into the main menu/options, the audio option is dark green and has a wait symbol spinning, not allowing any access to audio options. The sound is working and I can hear the music but when I start a new game, it brings up the loading icon at the bottom but continues to show the main menu video (scrolling around the power armor and the workshop) It stays this way for about 45 seconds to a minute and then crashes back to desktop. I have tried reinstalling directx but that doesn't seem to be the problem. I have played this on my system before but had to do a reset yesterday of windows. Since that reset I have not been able to play. Any help would be great, thanks.